William “Will” Schneider, is a Broker Associate for Keller Williams (“KW”) San Diego Commercial Division in the Carmel Valley-Del Mar office. Will specializes in multi-family sales and office sales and leasing. He also has experience with multi-family investment sales outside of California with 1031-tax deferred exchanges-an excellent way to build wealth through commercial real estate. Before joining KW Commercial, Will was a broker associate for SVN (formerly Sperry Van Ness) and he was a vice-president of multi-family investment sales for a boutique commercial real estate firm in San Diego. Will has also been a commercial mortgage broker who financed a variety of commercial properties including multifamily, industrial, and office buildings. He began his career as a loan officer for the Bank of America making consumer and commercial loans. In addition to his real estate and finance background, Will had a successful career for many years as a litigation attorney, Judge Pro Tem, arbitrator, and mediator in Los Angeles and San Diego counties. During this time, Will purchased a series of multi-family properties for his own portfolio by successfully completing 1031 tax-deferred exchanges. Will transitioned from the practice of law in December 2012 to focus exclusively on commercial real estate brokerage. Will has evaluated many multi-family and commercial properties in California and across the nation as an investor and more recently as a commercial real estate broker. Will believes that every commercial property has its own unique character which brings excitement and opportunity. Furthermore, with its talented staff of professionals and its national network of offices, KW Commercial provides the ideal platform to locate and maximize the value of commercial real estate investments locally and nationally. Will is a licensed California real estate broker and a member of the National, California, and San Diego Associations of Realtors. 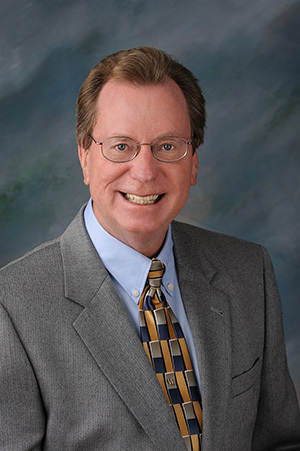 He is also a member of the Carlsbad Chamber of Commerce and is on the Real Estate Advisory Board for Mira Costa College. Will graduated from U.C.L.A. with a Bachelor of Science degree in Business Administration, and he received his Juris Doctor degree from Whittier College School of Law. Will and his wife have lived in San Diego County since 1993 where they raised two adult sons.